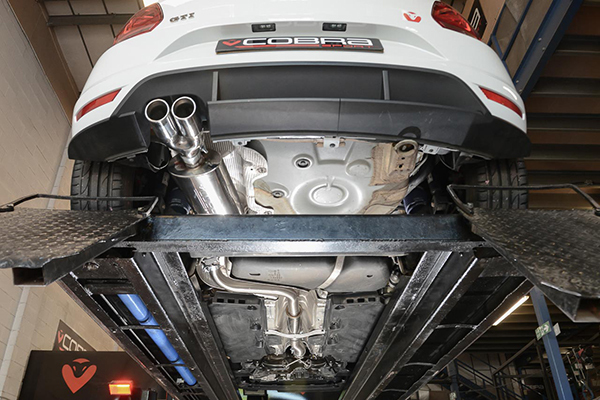 Hot on the tyre tracks of Cobra Sport’s exhaust upgrade for the 2014- (current) Polo GTI 1.8 TSi comes a similar system from Remus. Three 60mm stainless steel sports exhaust kits are available as the core product, and all are 5mm larger than the Polo GTI’s standard system. One offering has a resonator, one does without, while the third boasts fully-integrated electronic valves, complete with remote control to operate the valve control unit. 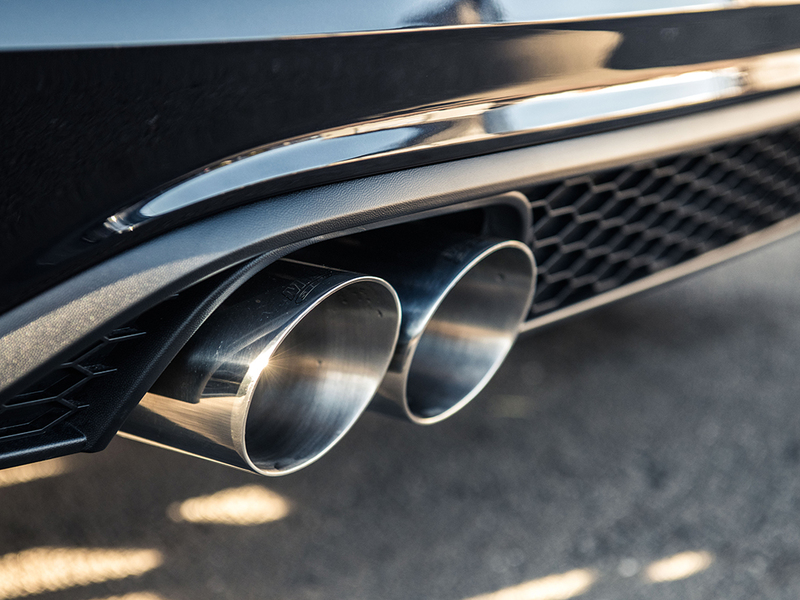 The latter system allows for the exhaust volume to be raised or lowered just by the simple push of a button, meaning that enthusiastic owners can have a quiet car day-to-day, or a more aggressive-sounding one when the need and time arises. Very clever, and something which has been solely realised by Remus, as the standard car does without such a trick system. 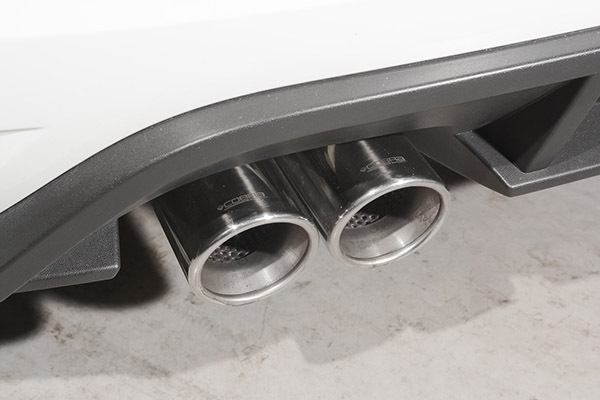 A pair of chromed and angled 90mm tailpipes mark the start of the under-bumper options. Five more 84mm offerings bolster the range, and available in chrome, ‘Street Race’, ‘Carbon Race’, ‘Street Race Black Chrome’, and titanium finishes, there really should be something for everyone. As a bonus, all of the available options should nestle under the hot Polo’s rear bumper easily. Remus tests all its systems on its own development cars and can therefore offer a very high standard of quality as well as increases in performance throughout the rev range. The company also states that while the increased volume is more aggressive than the car’s OEM system, it never becomes intrusive. Prices start at £91.20 including VAT for the front ‘race tube’ which replaces the front silencer, and rise to £1,008.00 including VAT for one system with the fully integrated electronic valves. 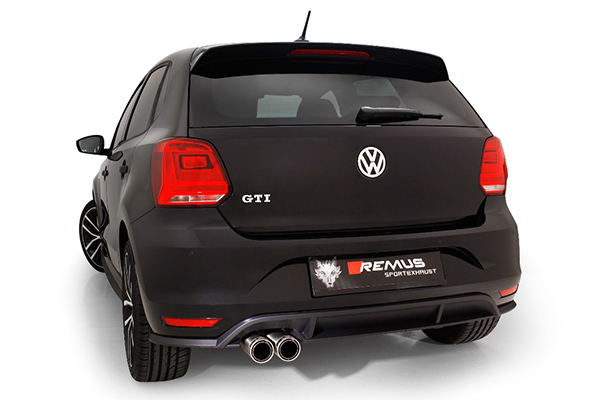 Visit Remus’ website at remusuk.com for more information on, and the fitment details and prices for, the Polo GTI 1.8 TSI cat-back sports exhaust system. Cobra Sport has announced a series of new performance exhaust upgrades for the current Polo GTI 1.8 TSI, which was first introduced in 2014. 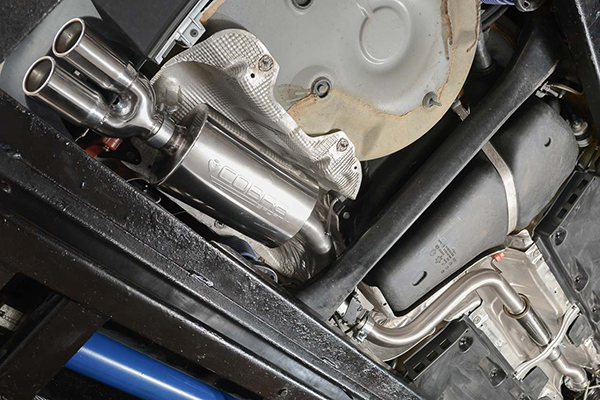 Following a similar series of upgrades for the previous 1.4-litre supercharged and turbocharged TSI engine which powered the 2010-2014 Polo GTI, the latest system ‘greatly improve the exhaust pitch and tone and add the sporty edge which was missing from the factory system,’ according to Cobra Sport. The resonated 2.5-inch cat-back system weighs only 9.52kg compared to the original’s 16.20kg, an impressive saving of 41 per cent. Cobra Sport claims that the de-­cat and sports cat front pipes have been enlarged to 3-inch bore and offer a weight saving of 0.60kg. The new offerings for the Polo GTI have the usual Cobra Sport best quality refinements, including Grade 304 stainless steel used throughout the system. The Cobra Sport upgrades fit from the catalytic converter rearwards and replace the middle and rear sections. Owners looking for maximum performance and sound improvements, the company also offers both a 3-inch (76.2mm) high flow sports catalyst and de-cat front section to complete the turbo-back system. 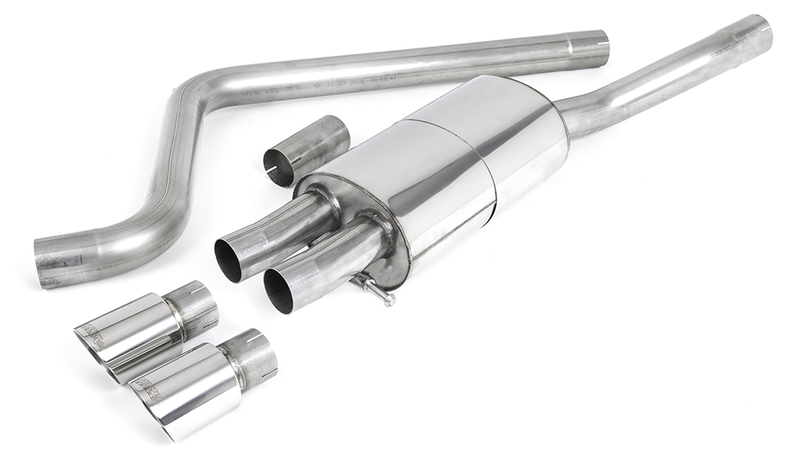 A choice of twin 3-inch and 3.25-inch tailpipes in a highly polished T304 stainless steel finish is available, while a less obtrusive oval slash cut version can also be optioned. Cobra Sport states that the resonated cat back system offers a subtle 10db aural upgrade over the original (benchmarked in a 4000rpm static test) and that it is designed to ‘provide a purposeful but unobtrusive pitch perfect sound quality, which in no way interferes with day-­to‐day drivability’. The Polo GTI 1.8 TSI Cobra Sport non-resonated cat-back system starts at £427.20, while resonated cat-back upgrades are priced from £506.40. The most expensive upgrade is the turbo-back exhaust system with sports catalyst and resonater which retails at £1,202.54. For full details of the new systems, visit the Cobra Sport website.